According to the liner notes, the album documents Kraftwerk’s 1 2 3 4 5 6 7 8 tour at various museums and concert halls around the world: Museum of Modern Art in New York City (9–17 April 2012), Kunstsammlung Nordrhein-Westfalen in Düsseldorf (11–20 January 2013), Tate Modern in London (6–14 February 2013), Akasaka Blitz in Tokyo (8–16 May 2013), Sydney Opera House (24–27 May 2013), Walt Disney Concert Hall in Los Angeles (18–21 March 2014), Burgtheater in Vienna (15–18 May 2014), Fondation Louis Vuitton in Paris (6–14 November 2014), Neue Nationalgalerie in Berlin (6-13 January 2015), Paradiso in Amsterdam (16–23 January 2015), DR Koncerthuset in Copenhagen (26 February – 1 March 2015), Oslo Opera House (4–7 August 2016), and Guggenheim Museum Bilbao (7–14 October 2016). Disc seven of the set is mixed in Headphone Surround 3D. 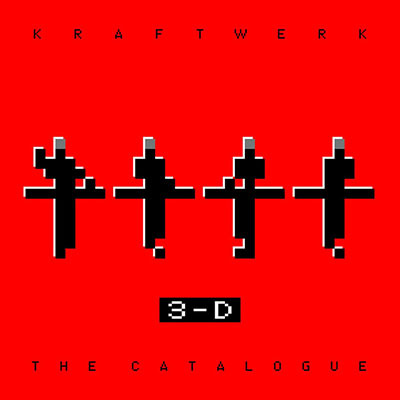 Unlike on most live albums (including Kraftwerk’s own Minimum-Maximum), there is no audible crowd noise.